If you have any complaints about traveling over Thanksgiving weekend, check out “Last Train Home,” which opens this Friday, November 26, and runs to December 2, at the Michigan Theater. This award-winning documentary film, made by Chinese-Canadian filmmaker Lixin Fan, looks at the epic phenomenon of 130 million workers going home for Chinese New Year’s, as well as the intimate cost to one poor rural family of leaving the children behind to be raised by grandparents in order to work those distant and demanding factory jobs. Working over several years in classic verité style Chinese-Canadian filmmaker Lixin Fan (with the producers of the award-winning hit documentary Up the Yangtze) travels with one couple who have embarked on this annual trek for almost two decades. Like so many of China’s rural poor, Changhua and Sugin Zhang left behind their two infant children for grueling factory jobs. Their daughter Qin—now a restless and rebellious teenager—both bitterly resents their absence and longs for her own freedom away from school, much to the utter devastation of her parents. Emotionally engaging and starkly beautiful, Last Train Home’s intimate observation of one fractured family sheds light on the human cost of China’s ascendance as an economic superpower. Our family loves Ann Arbor’s multicultural children’s music duo Gemini so much that we used to delay our summer vacation plans until after their concert at Top of the Park. Another annual favorite worth returning from Thanksgiving early for is Gemini’s annual Ark Thanksgiving benefit concert for Mott Children’s Hospital on Sunday of Thanksgiving weekend, November 28, 2010, 1:00 pm, at The Ark Coffeehouse, 316 S. Main Street, Ann Arbor. This year, San Slomovits will be unable to perform due to a recent surgery (but the Ark’s website reassures, “don't worry, San is doing great and will be back on his feet in no time - see the Gemini website here for more info”). Nevertheless, the show will go on with Laz Slomovits, San’s daughter Emily, and the Good Mischief Band (Brian Brill on piano, Aron Kaufman on drums, Eric Fithian on bass). My parents say that there is a Chinese saying (there is always a Chinese saying) about how distant relatives are not as good as nearby friends. To illustrate, they recall the time our car broke down on the winding and treacherous Pacheco Pass after midnight and how our neighbor, Mr. Shigematsu, came to rescue us and did not get home until after 2 am. Our relatives in distant Los Angeles or San Francisco could not have done anything to help because they were too far away. Thanksgiving is a time of feasting and family, and people are traveling, cooking, and cleaning like mad, trying to get to their families for four brief days. Because many of my children’s friends are from international families and do not have extended family close by, I like to gather up all our friends and celebrate “Thanksgiving Eve” the night before with a big potluck of what turns out to be the most amazing spread of foods from around the world—teriyaki turkey, sticky rice stuffing, butternut squash Thai curry, chicken biriyani, babaganoush, tabbouli, lasagna, shrimp and broccoli, mangoes and black sticky rice, Thai pumpkin custard, and more. 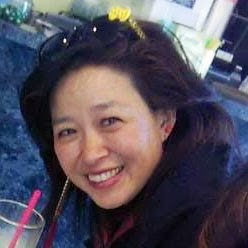 On Saturday, Nov. 20, 10:30 to 11:30 a.m., the Ann Arbor District Library will sponsor a talk by Su-Fen Lin on “Raising a Bilingual Child” at its Traverwood branch. Lin will discuss language acquisition in children whose native language is not English — the advantages of raising a child to speak multiple languages, what to expect and how to support your child through this process. When we think about happiness, academics are not generally the first people who spring to mind. But this is an academic town, what else are we to do? Where else are we to go? The wonderful University Musical Society (UMS) people, walkie-talkies in hand, meet us as we step off our yellow school bus outside Hill Auditorium on a beautifully crisp Friday morning. We feel like honored VIPs as they lead our four busloads of elementary students, teachers, and parent chaperones in through the side door, down and around a long and winding handicapped ramp, and onto the main floor of the auditorium. I do not know how they do it, 3500 children from busses to seats in twenty minutes flat. I gasp as I spy our usher’s seating chart. Across the very front section of the auditorium, in four big letters, is written the name of our school. They are giving us the whole front section, the orchestra section, on the main floor. As we snake into our seats, row by row, grade by grade, I feel like I have won at musical chairs to finally take my seat in the very center of the sixth row, and next to a very handsome (six year old) boy. I could never afford such good seats for my family. This Veterans Day, Thursday, Nov. 11,from 6:30 to 8:30 p.m., the Ann Arbor District Library, the University of Michigan Michigan Community Scholars Program, the University of Michigan Program in Asian/Pacific Islander Affairs Program in the Department of American Culture and the Filipino American National Historical Society Michigan Chapter will be sponsoring a film and discussion, “An Untold Triumph: The Story of the 1st & 2nd Filipino Infantry Regiments, U.S. Army,” the acclaimed documentary film which documents and honors the 7,000 men of the 1st and 2nd Filipino Infantry Regiments of the U.S. Army who fought in WWII. Panelists include Jason Gavilan, Josephine Sirineo , Joseph Galura , Adelwisa Weller and Quirico Samonte. This Wednesday, Nov. 10, from 7 to 8:30 p.m., the Ann Arbor District Library, the Interfaith Council for Peace and Justice and the U of M Muslim Students Association will be co-sponsoring a panel discussion “American Sons: Reflections on Being Muslim in America” at the downtown branch of the Ann Arbor District Library. I do not get leaves. I was embarrassed, of course, to be caught hovering, and I worried about how hungry and dirty I must look, but since my mouth was invariably full, I could not stop them from loading up my plate. Today, I am still not sophisticated and I still hover chronically around buffet tables, however, with all the Peace Corps’ 50th anniversary celebrations at the University of Michigan last week, I cannot help but be moved by the idealism that inspired it. They will present an Indian classical Odissi Dance Performance featuring Sreyashi Dey, Ishika and Kritika Rajan, Debnita Talapatra, and Ananya Kar, with theatrical narration by Martin Walsh of the University of Michigan Residential College, and scripted by poet Zilka Joseph.